Stop fighting tough starting mowers and the hassle of gas and oil and start experiencing the powerful, easy to use Redback 120V Cordless Li-ion Self-propelled Lawn Mower. 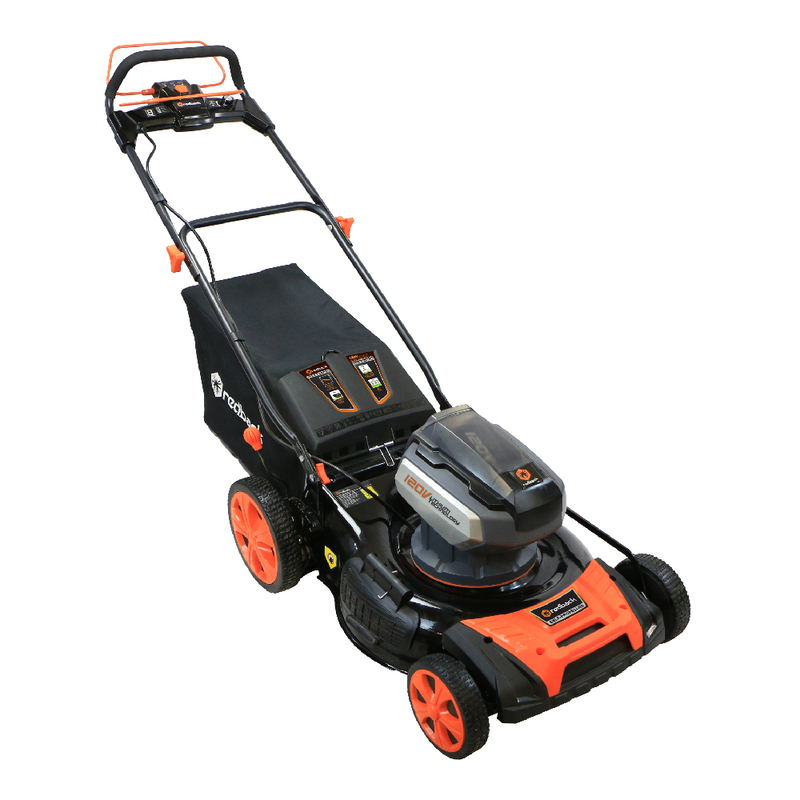 This cordless lawn mower is packed with features including a brushless motor that senses the optimal mowing speed knowing when more power is needed, meaning it won’t get bogged down in thicker patches of grass. This smart technology maximizes run time, motor life, and battery charge, using only the power needed for the task at hand. Instant starting and quiet, this mower also features up to 4000 rpm speed and a 21″ deck, perfect for mowing yards of all shapes and sizes. 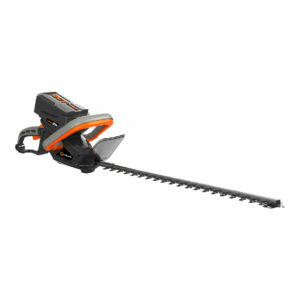 The height adjustable handle makes it easy to cut your grass at your preferred height. You’ll always know your battery’s remaining charge with the conveniently located handle-mounted battery capacity indicator. Also enjoy ergonomic comfortable handle grips. When crunched for space, take advantage of its ability to store compactly by simply folding up the fast fold handle. 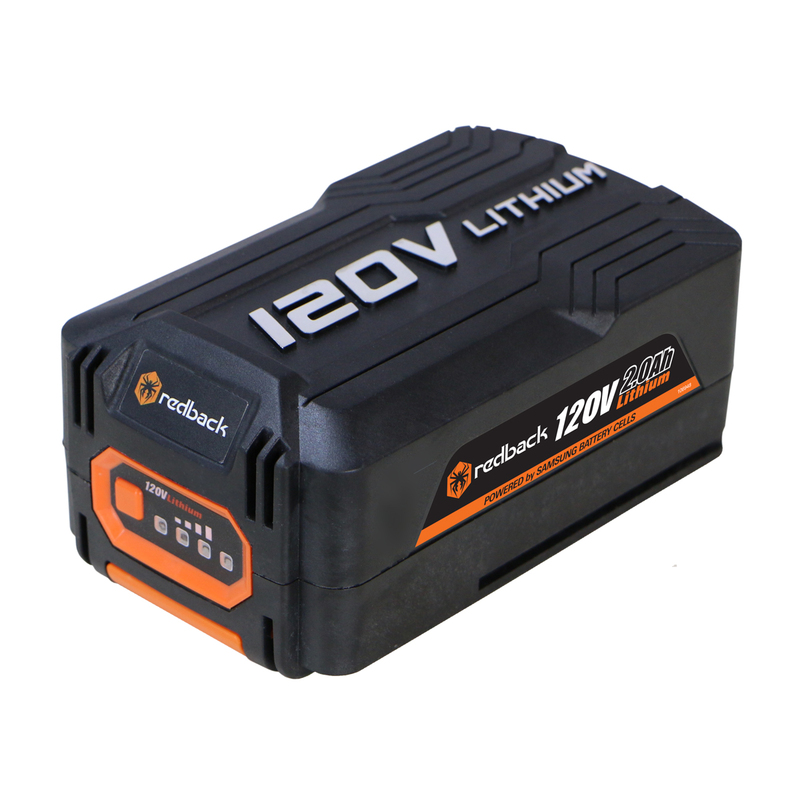 This kit includes everything you need to get started with the Redback Power 120V li-ion system: the lawn mower, a 3.0Ah battery (compatible with all Redback 120V tools), and battery charger. Mower Specs: Self-propelled. Adjustable speed. Brushless motor. 21 inch deck width. Fuel gauge on handlebar. Run time: up to 60 minutes per charge. 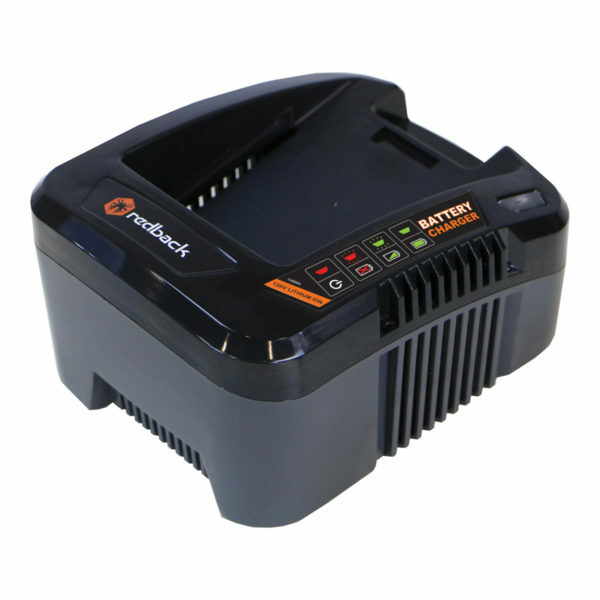 All Redback products are backed by a 5-year warranty.